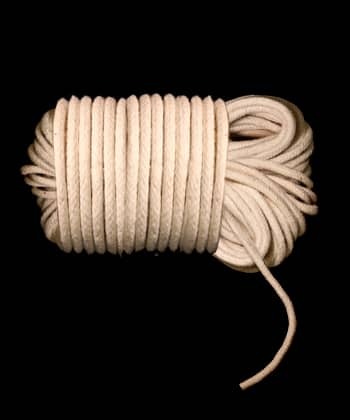 Light-weight, low-stretch 100% cotton braided cord recommended by the Rope Dart Academy for optimal dart use. This cord maintains consistent grip even with sweat, and after a brief initial break-in period, offers the ideal amount of friction for dart use for a long time compared to alternatives. Each foot of cord weighs ~5.5g.